How much time are you spending on accounting for your small business? The team at The Blau Company, Ltd. understands that accounting isn’t the main focus of your business, which is why we offer solutions to help you succeed. We help small business owners like you take control of your financial situation by providing accounting assistance and QuickBooks® training and support. Quickbooks® software can provide the tools for success. 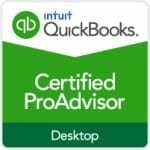 Our team of experienced QuickBooks® experts can help get businesses set up, along with training users on proper techniques and control procedures. 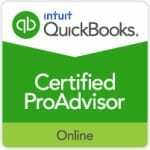 For more information, please contact our Advanced Certified QuickBooks® ProAdvisior™, Denise Fisk. When appropriate, we highly recommend QuickBooks Online. QBO allows for the ultimate in collaboration. You can keep your books up-to-date using any web-enabled product, including a smartphone or tablet. Through integrations with bank products and other third party applications, your cloud-based accounting system syncs with other important cloud resources, saving time and effort. The Blau Company, Ltd. knows the future lies in the cloud! Our services include time for a member of our team to meet with you to discuss reports and any address accounting-related questions you may have. We look forward to working with you as you plan for long-term success!